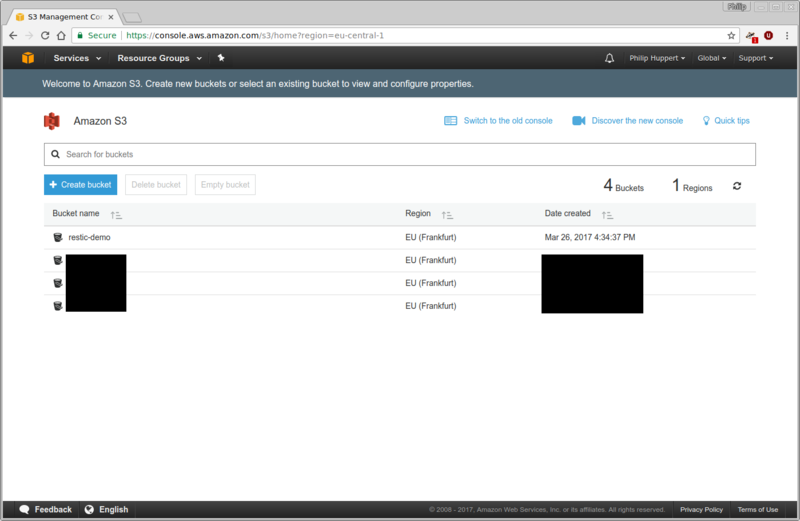 This tutorial will show you how to use restic with AWS S3. 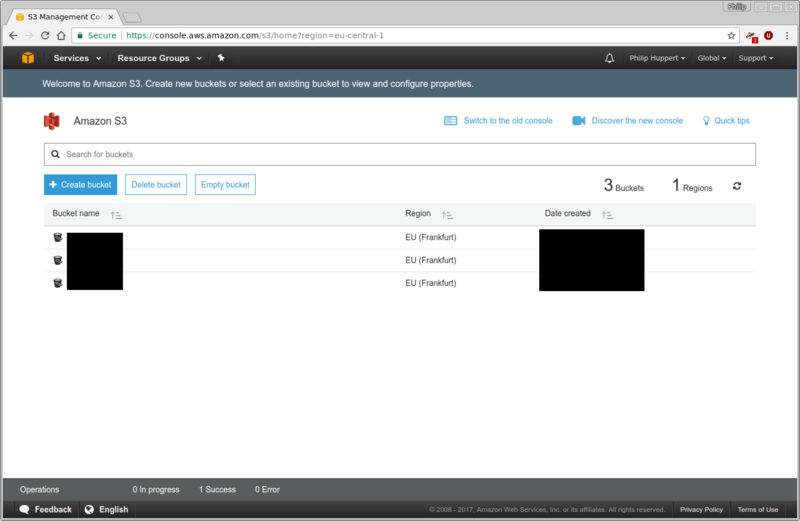 It will show you how to navigate the AWS web interface, create an S3 bucket, create a user with access to only this bucket, and finally how to connect restic to this bucket. You should already have a restic binary available on your system that you can run. 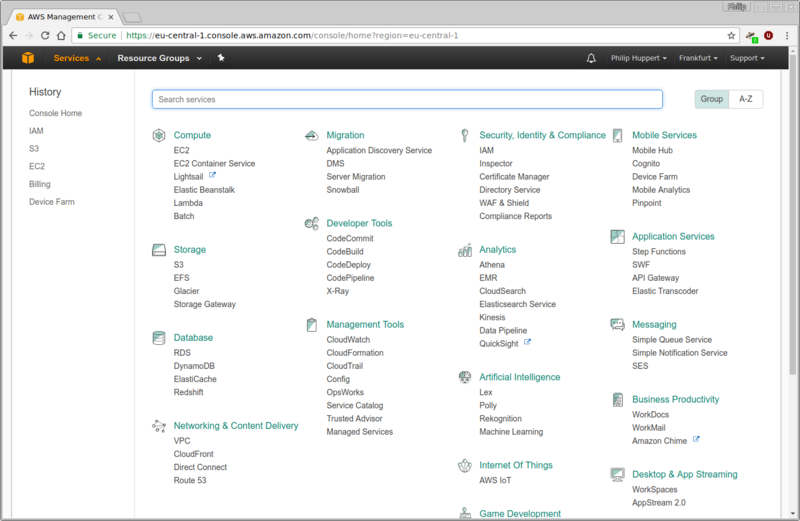 Furthermore, you should also have an account with AWS. You will likely need to provide credit card details for billing purposes, even if you use their free-tier. 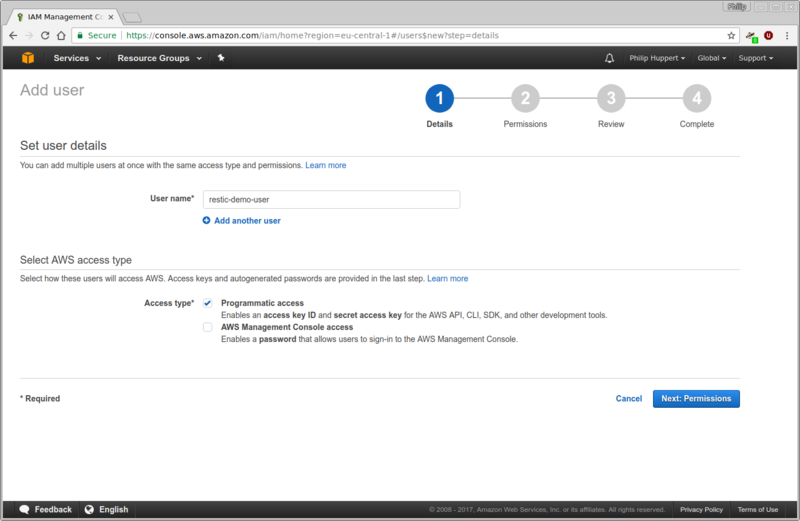 For this tutorial, the Simple Storage Service (S3), as well as Identity and Access Management (IAM) are relevant. 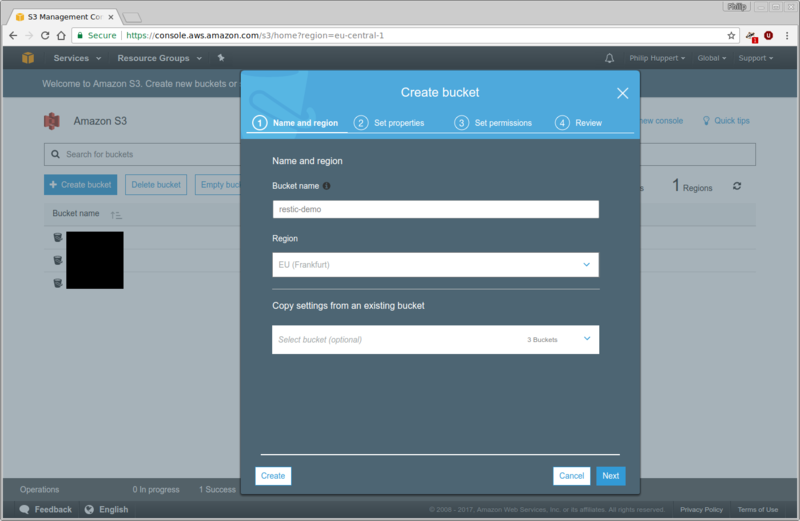 Click the “Create bucket” button and choose a name and region for your new bucket. 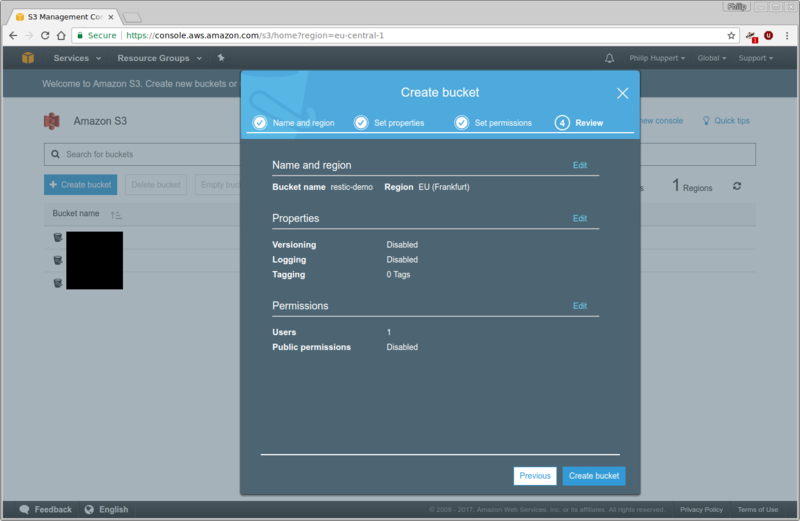 For the purpose of this tutorial, the bucket will be named restic-demo and reside in Frankfurt. 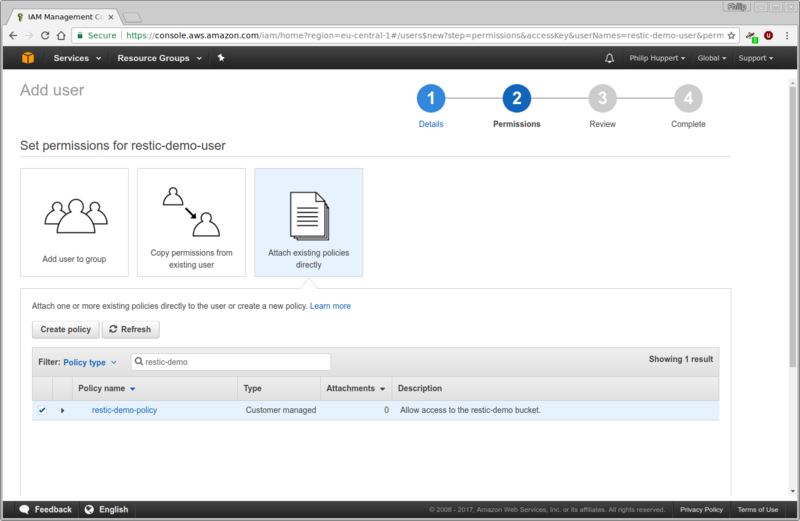 Because the bucket name space is shared among all AWS users, the name restic-demo may not be available to you. Be creative and choose a unique bucket name. 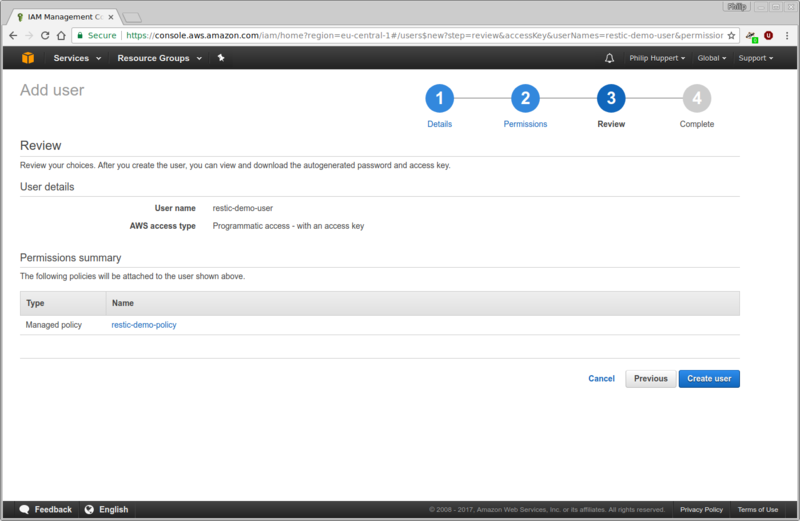 Go back to the browser window or tab where you were previously creating the new user. 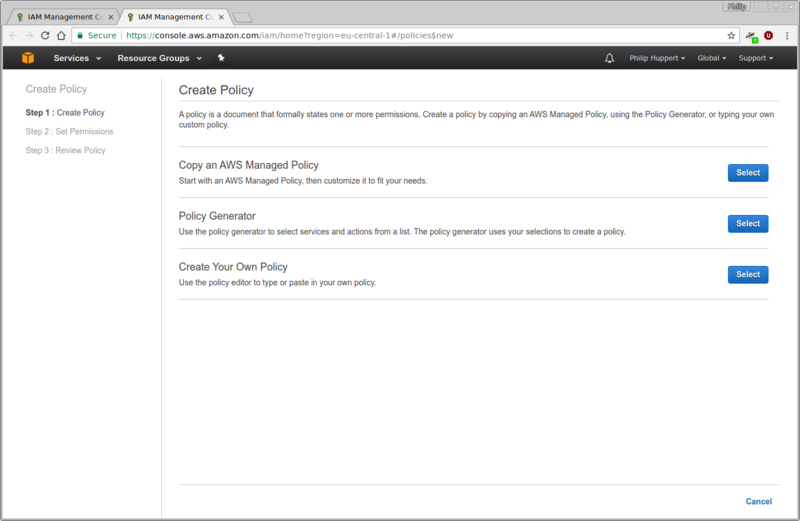 Click the button labeled “Refresh” above the list of policies to make sure the newly created policy is available to you. 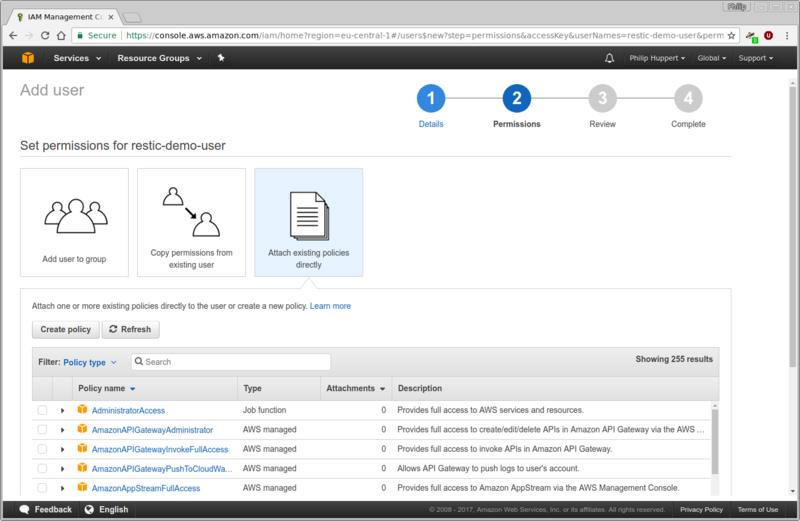 Afterwards, use the search function to search for the restic-demo-policy. 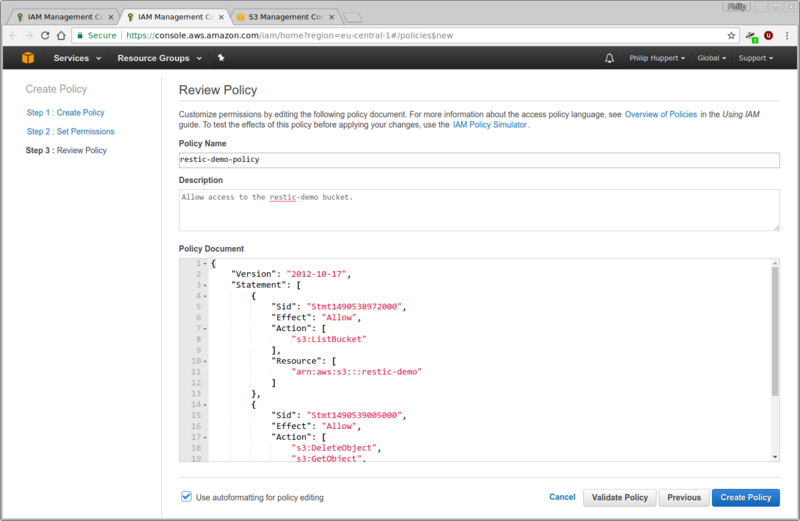 Select this policy using the checkbox on the left. Then, continue to the next step. 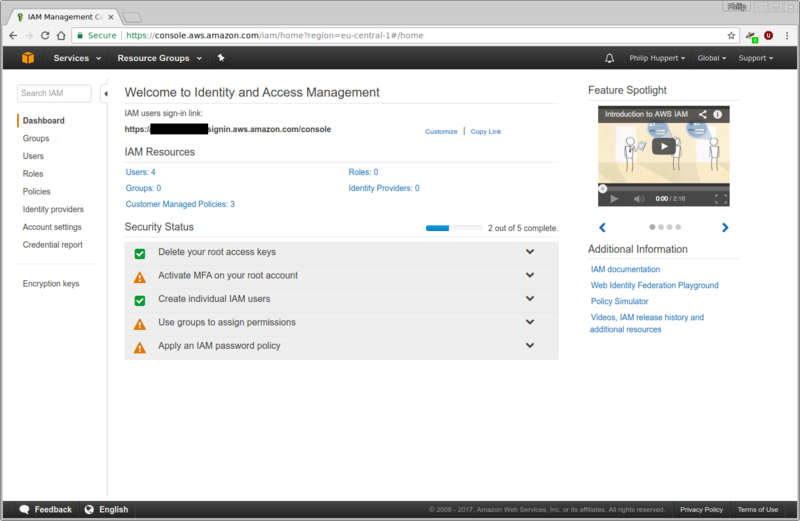 After the user has been created, its access credentials will be displayed. They consist of the “Access key ID” (think user name), and the “Secret access key” (think password). Copy these down to a safe place. 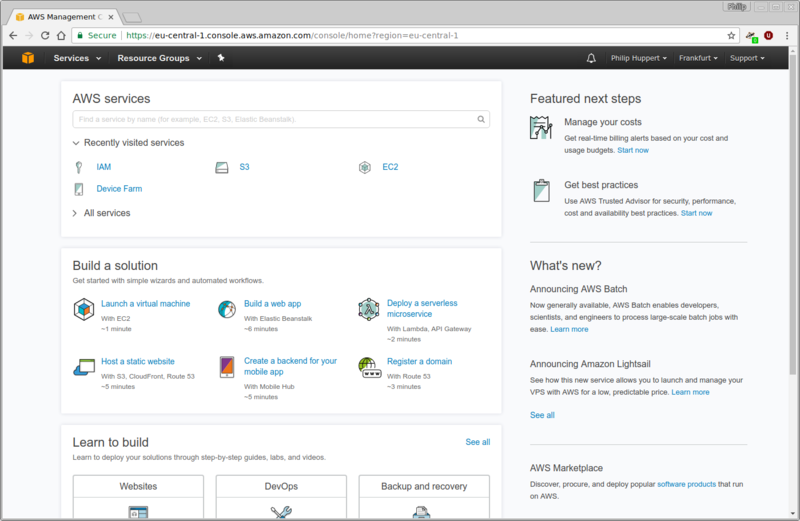 You have now completed the configuration in AWS. Feel free to close your web browser now. 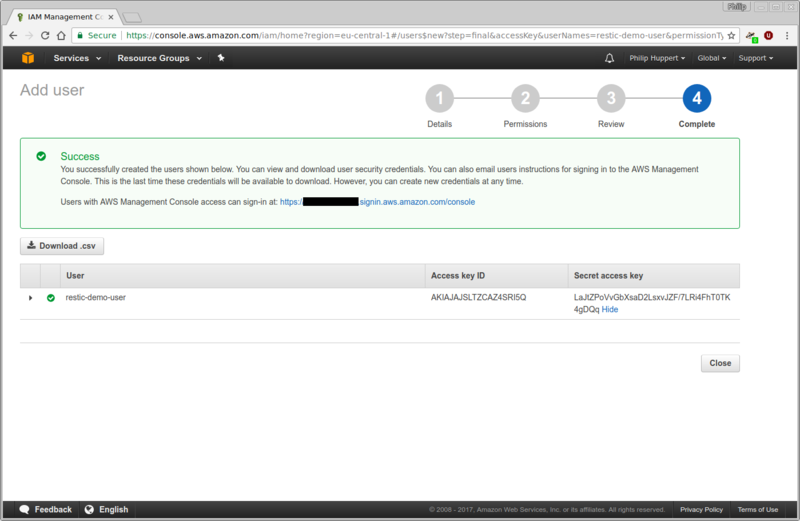 Note this password somewhere safe along with your AWS credentials. Next, the configuration of restic will be placed into environment variables. 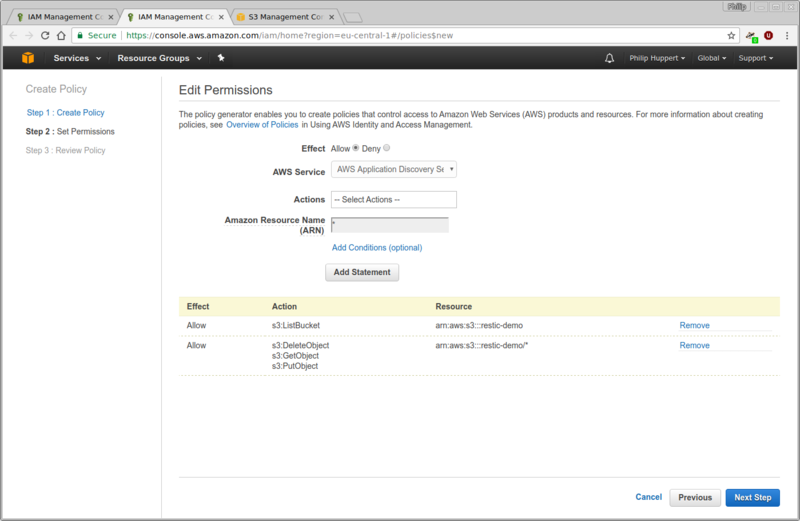 This will include sensitive information, such as your AWS secret and repository password. Therefore, make sure the next commands do not end up in your shell’s history file. 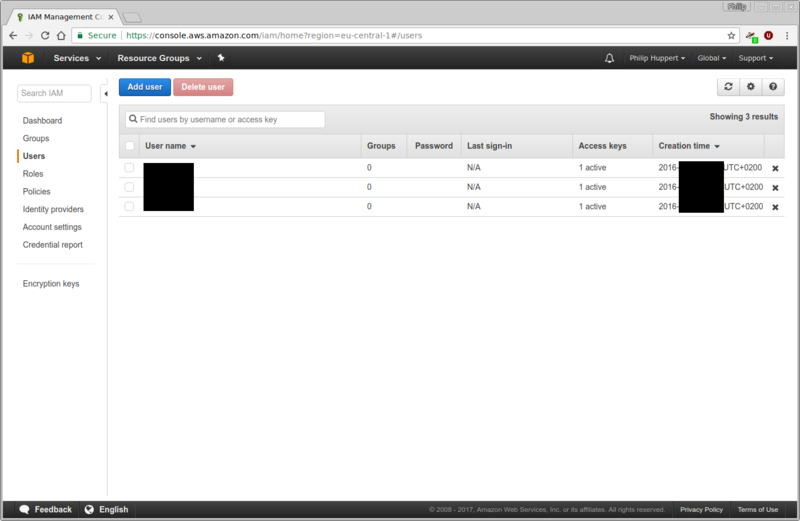 Adjust the contents of the environment variables to fit your bucket’s name and your user’s API credentials. The snapshot was successfully restored. This concludes the tutorial. © Copyright 2017, restic authors. Revision 81473f45.